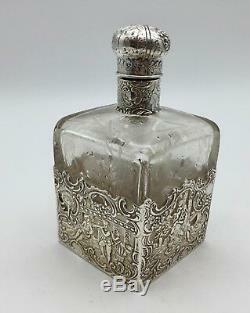 Antique Dutch Silver Etched Glass Decanter circa 1885. 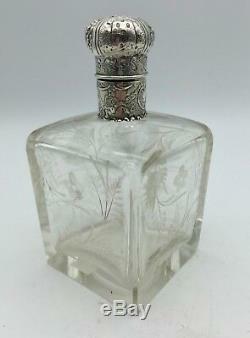 Superb glass spirit decanter of square form , beautifully wheel engraved. 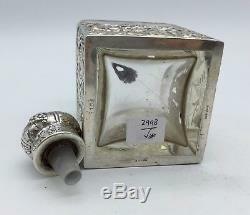 With scrolling foliage stood within a solid silver case in the rococo style. 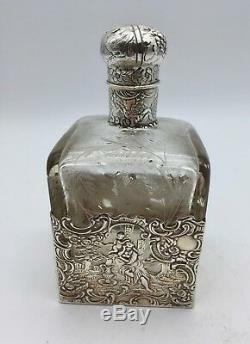 With repousse filigree scenes depicting Musicians serenading female. 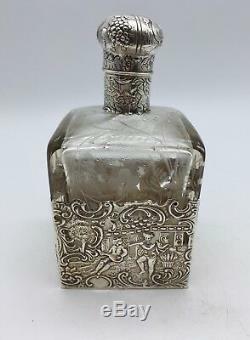 Admirers , the silver clad stopper similarly repousse with a courting couple. All presented in very good condition , mentioned for accuracy couple. 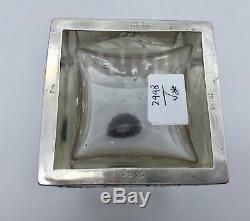 Of scratches to glass base not cracks see photos a fine quality item. Some 130 plus years old. 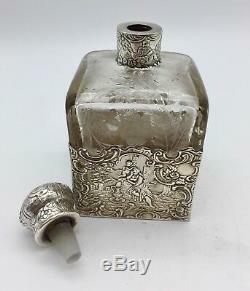 The item "Antique Dutch Silver Etched Glass Decanter circa 1885" is in sale since Saturday, November 24, 2018. This item is in the category "Pottery, Porcelain & Glass\Glass\Date-Lined Glass\Victorian (c. The seller is "cartmor" and is located in Lincoln. This item can be shipped worldwide.